Biker boots are everywhere right now and these knee length flat stud boots tick all the boxes for rocky, edgy biker style that is bang on trend. 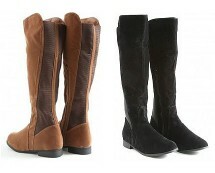 For those who are seeking to add this trend to your style right now, then these boots are a great option for you! Practical as well as stylish these boots will compliment anyone’s day look and are a perfect footwear choice for cold and frosty days that will keep your feet warm and comfortable. 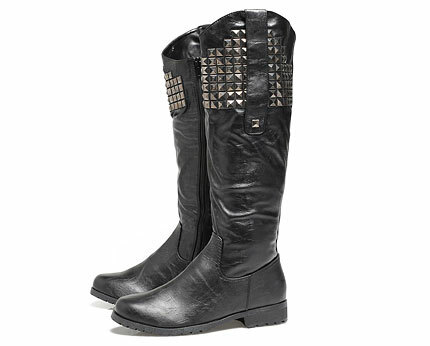 To style these fab boots, team with leggings or skinny denims for a laid back casual approach, try a studded jacket for full on trend, and for those who like to showcase a real statement opt for a skater dress instead. 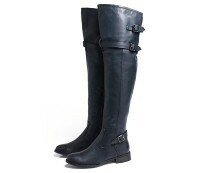 They are incredibly versatile and will enhance any day wear styles you may choose. Take inspiration from celebrities such as Jessie J, Kate Moss and Rihanna who can’t seem to get enough of boho, biker chick look, right now! 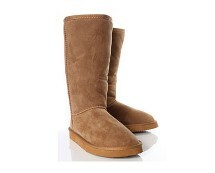 Amazing sale on these classic faux fur boots. Superb for all seasons of the year. Available in beige and camel.